In the fight for long-term funding for mental health services, Iowa counties are recruiting supporters from the general public. Mary Neubauer does it pretty well. 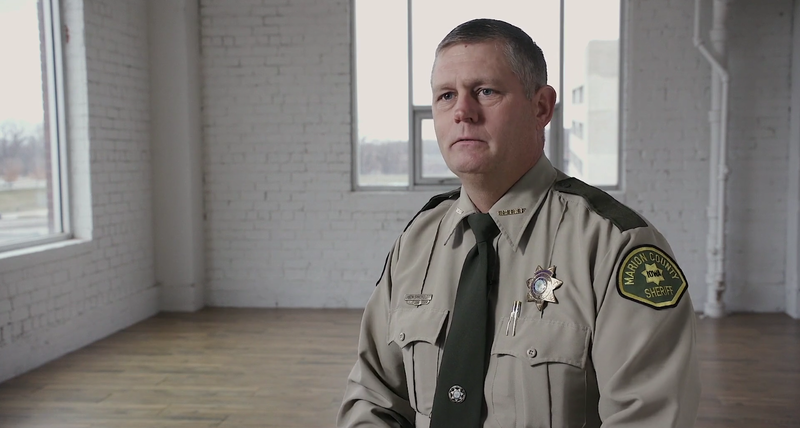 Neubauer is one of a handful of Iowans who appear in the Iowa State Association of Counties (ISAC) videos advocating for mental health funding. They have gone out to an audience that includes new Gov. Kim Reynolds (R), who retweeted one of the videos shortly after her inauguration. Mental health advocates, county supervisors and sheriffs, such as Marion County’s Jason Sandholdt, pose tough questions to the viewer, which ISAC hopes will translate into pressure on the Legislature. Iowa counties provide and pay for non-Medicaid services for mental health and disabilities, but since 2013 have been sorted into regional delivery systems. Their ability to increase funding, however, has been limited since 1996 and county property tax rates for the levy declined between 1996 and 2016 as property valuations increased. In some rural areas, where the population has fallen, regions have the money, but not enough service providers. In growing urban and suburban areas, the population increase outpaces regions’ abilities to generate funding. “Resources aren’t in the right place,” said Bill Peterson, ISAC’s executive director. “They’re local, can’t be moved and the levy cap keeps counties from raising the revenue they need. Last year’s gubernatorial race, however, opened up an opportunity. The topic of mental health, particularly in an agricultural state dealing with a challenged farm economy, frequently appeared early in speeches by both candidates. “We knew it would be one of our top priorities and with a governor’s race last year that focused on mental health, we knew it would be a priority of the governor — whoever won the office,” said Rachel Bennett, ISAC’s member relations manager. ISAC recruited members and residents to help form its message to the Legislature and the public in the video. The association brought in officials from each of the affiliates and groups to discuss what tone they were comfortable setting, the messages they wanted to convey, how they wanted to bring it about. With complex background information on the issue, messaging was a challenge. The overall message was a request to invest in Iowa’s counties, to invest in mental health. “We wanted to focus on the term ‘investment’ because it’s not just asking for money, it’s asking for things that will be a true investment for the state of Iowa,” Peterson said. Though ISAC and its video production contractor prepped the speakers with questions, they didn’t provide a script. The finishing touch tied the message back to the counties. NACo President Greg Cox's presidential initiative will explore ways that county government are connecting our residents in the spirit of building healthy, safe and vibrant communities.